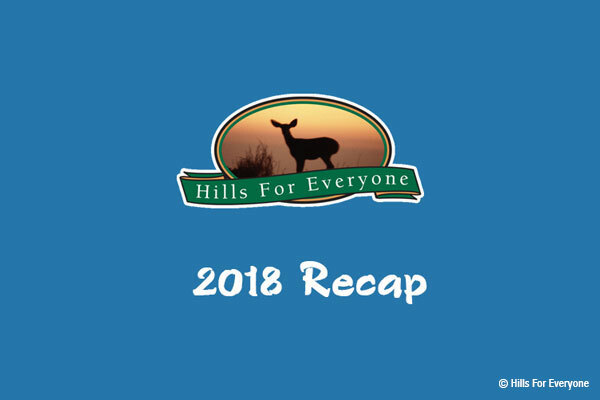 Hills For Everyone had several key successes last year, but we continue to face numerous challenges threatening the Puente-Chino Hills Wildlife Corridor. This video captures some of the highlights of our work from 2018 including victories with Madrona and the passage of the Park Bond. It also covers some of challenges for 2019 like future acquisitions, the Esperanza Hills, Hidden Oaks, and Prado Raceway projects. Thank you for your continued support. Your financial contributions make this work possible.